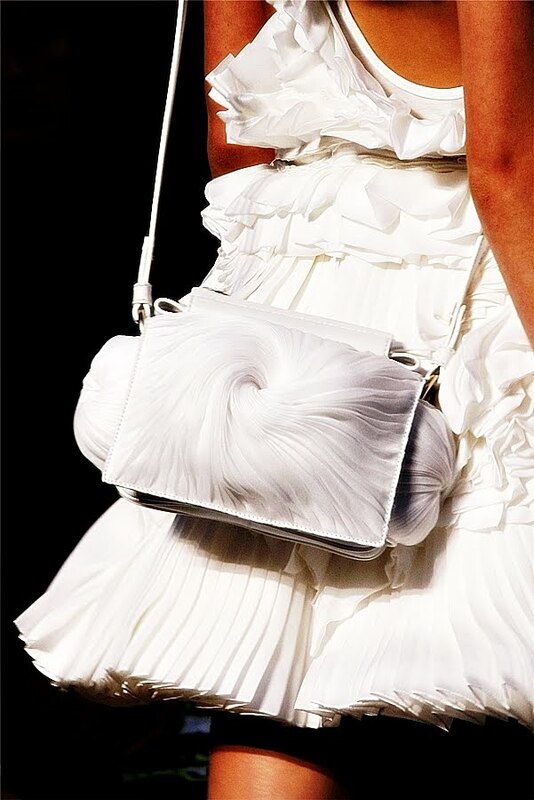 A perfectly sculpted bag for the busy city bride as she dashes from City Hall to the reception! Nice bag, It goes great with the dress. Frills and ruffles are popping up everywhere - best of all they are really easy to sew onto anything to give it a little summer or springtime fun!